Foundation work in building construction is more than just making a concrete block to support a house. It needs to consider the condition of the soil and the load of the building. Foundation walls need insulation from weather and withstand any shifting of the surrounding ground. 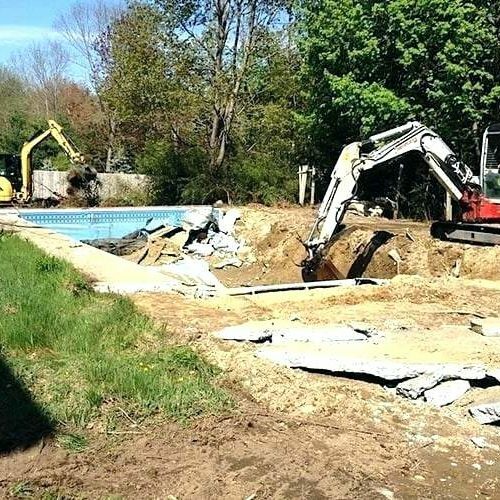 Proper foundation services isn’t just digging a hole and filling it with concrete. It needs to be customized to factors such as the soil, and water tables. The base and framework need to be done right and concrete filing free of empty spaces. Without considering such details a foundation can sink. Good foundation services build houses that last forever. Foundation construction is essential to the safety of a building. It needs to consider what house foundation types will be most suitable to the underlying soil. Different concrete foundation types need to be considered after analyzing the soil. For example, sand and gravel can shift during heavy rain or when the climate is dry and hot. Clay is a favorable soil that settles. Rock is common and a good building base although it can be expensive. What are the different home foundation types? A different type of foundation is always considered after analysis of the ground. Foundation work in building construction is divided into two major classes called deep foundations and shallow foundations. Shallow foundations are closer to the ground level or surface. They are used when the soil is stiff and strong enough to support imposed loads. They can be of different types, for example, pad, strip, spread footings, and rafts. Shallow foundations should not be constructed in peat, alluvial compressed and poor compacted soils. Pad Foundations: Supports an individual point load due to structural columns. 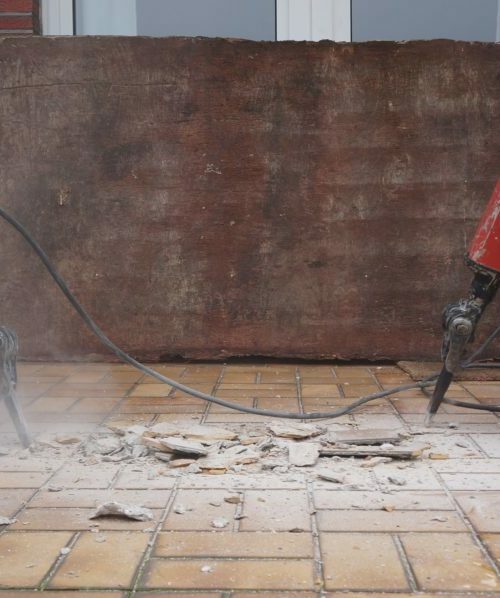 These can include square or rectangular concrete slab of similar thickness. When the load is from a heavy column, they can be stepped or haunched. Strip foundations: This foundation supports a line of loads for load-bearing walls. It is used for lines of columns where pad foundations are not suitable. Strip foundations are perfect for low to medium-rise domestic buildings. Raft Foundations: Called a mat or concrete slab foundation. A raft foundation spreads the load of a house or building over a large area. 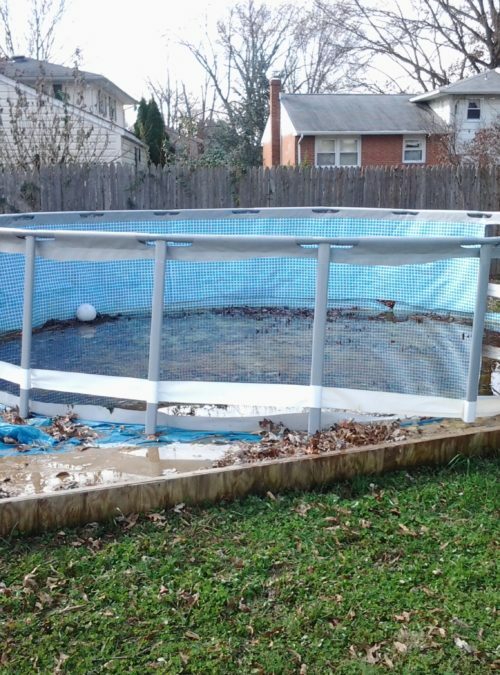 It can include a concrete slab that is constructed over the total load. Raft is used in soft or loose soil. This can include a slab on grade method using a foundation mold. The resulting single layer of concrete is several inches thick and can rest on a gravel bed for improved drainage. It can be supported by poured concrete walls which have better lateral strength. Raft foundations can be used in both domestic and commercial buildings but are best suited for unstable soil. 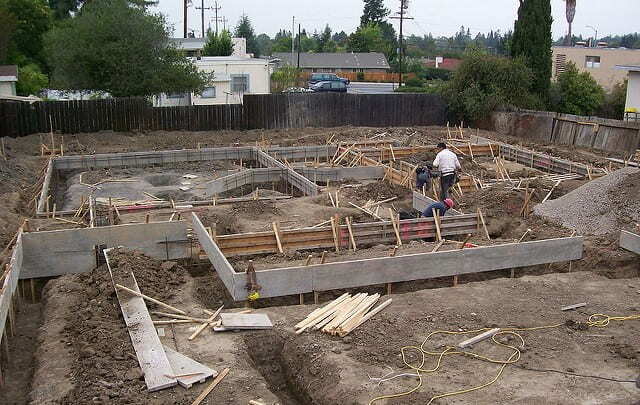 Spread footing foundation: Spread footings is a common foundation for residential buildings. It has a wider bottom that spreads the building weight over a wider area to make it more stable. Concrete strips and pads are placed below the frost line. This method transfers the column and wall weight to the bedrock or soil. Spread footings are not suitable for high-rise buildings. Piles: These are long slender foundations that move the load deeper in the soil or rock where surface soil is weak. Piles are even used as anchors against natural forces. Piles are cheaper and used where the layer of soil is weak. They improve safety and support to multi-story buildings. Piers and Caissons: These are deep foundations meant for heavy loads. 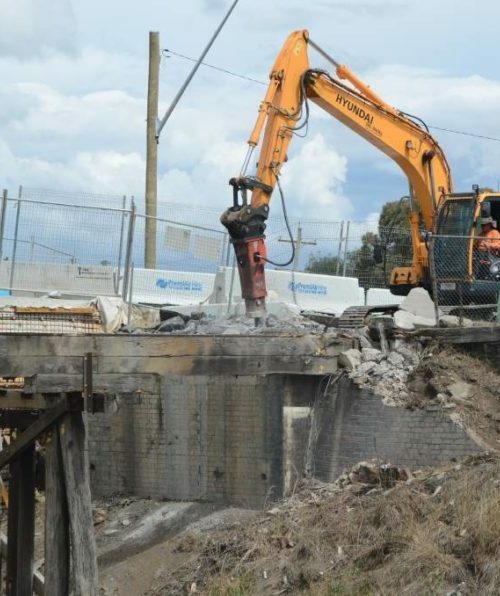 They are first constructed above the ground and then sunk to a lower level by removing the soil.These are suitable for bridge piers, dams and foundations built below a body of water. Compensated foundations: This is suitable for a basement foundation where the total stress on the foundation is well balanced. Basement and crawlspace foundations: A basement foundation can include both elements of a slab and a crawl space. Homes without basements have a high foundation with a crawl space to allow air circulation throughout the house. 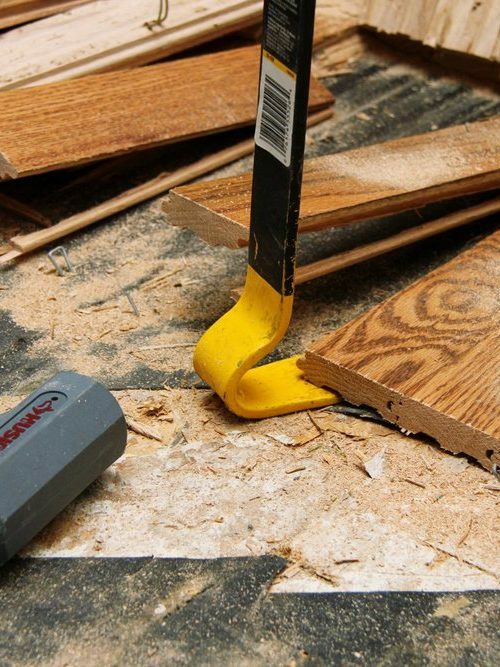 A crawl space is like a basement for storing items. Basement foundations increase the living space of a home with storage space. They are fire resistant and protect a home against weather. 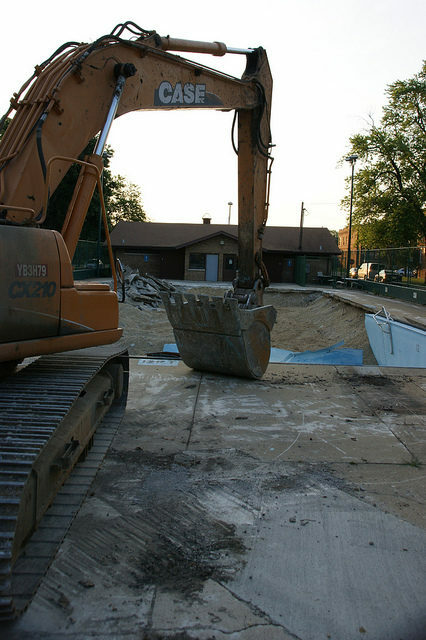 Site excavation: The site needs to be stripped, leveled and cleared of dirt, grass, tree trunks, shrubs and rubble. 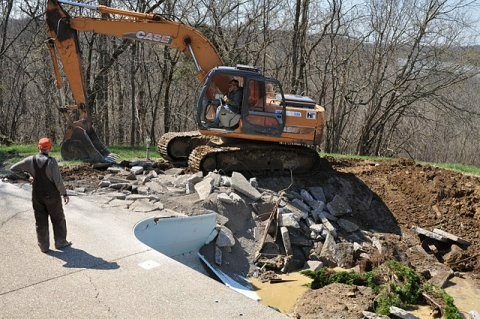 A drainage system should be made to remove any water stagnation. Excavation even includes building trenches, tunnels, wall shafts and earthwork. 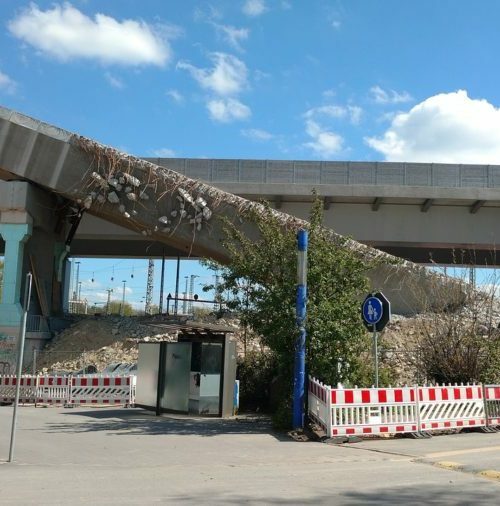 This needs strict supervision to prevent any short-cutting that may not be good for the building. Footing: A footing crew will make the concrete mix for pouring in trenches. Rebars and forms will be then set in place. There will be an inspection by the municipality after which the crew will pour the footing. Foundation: The wall crew will make the foundation walls. They will set plumbing sleeves, install windows and ledges, and pour the walls. The next day they will strip the forms and recheck the foundation for plumb, square and level. Waterproofing: The foundation crew will apply waterproof products to the foundation work and install insulation. 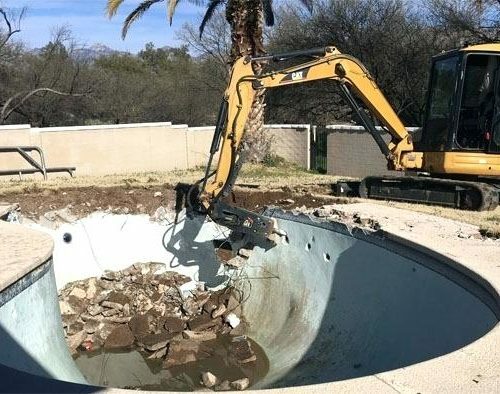 Drainage and backfill: The crew will install drainage which includes drain tiles and gravel around the foundation exterior. Stone will be filed into the porch and garage area. A skilled operator then needs to backfill the foundation and shape the site for good drainage. Foundation services will even include cutting walks and drives. Once the rough grading or shaping is finished, there will be a final inspection of the site. Flatwork: This is the concrete finish for the foundation. 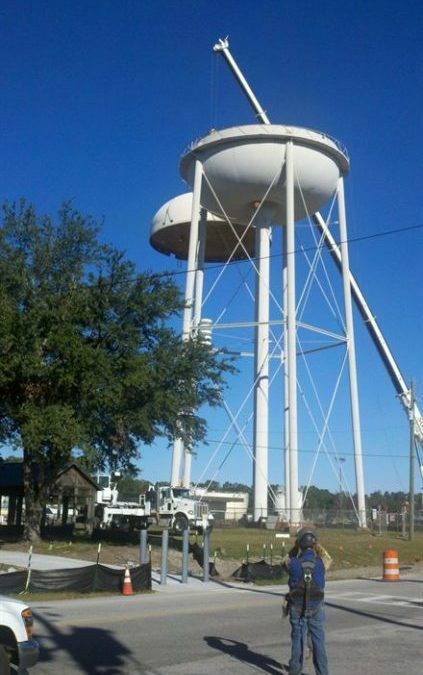 Murray Demolition offers a high quality of flatwork finish that can include stained or colored finishes. 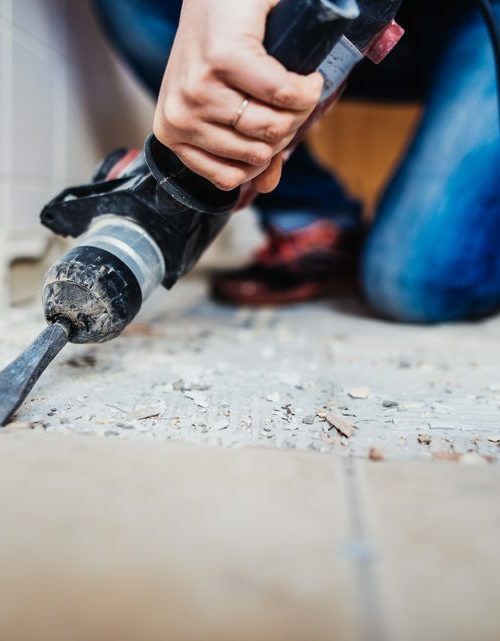 If you want your building project to be successful, then you need to get your foundation right. 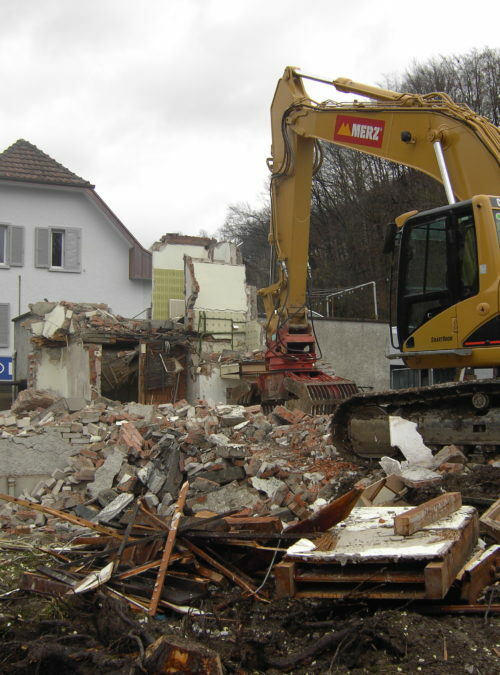 Murray demolition combines the best features of demolition and foundation services. 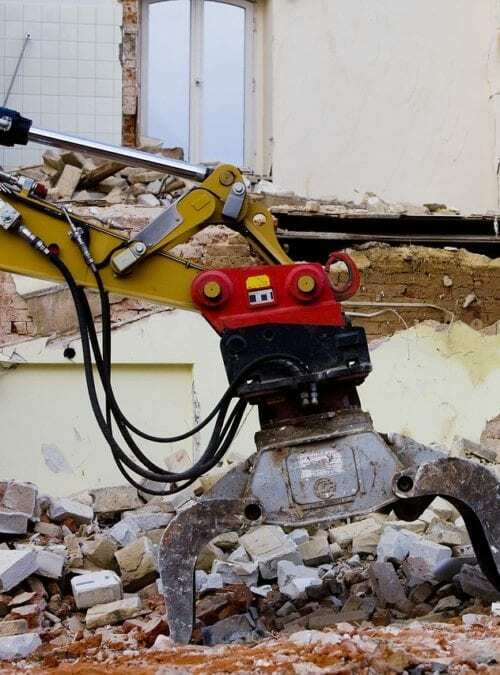 We have the experience, equipment and technical know-how to excavate your building site as it should be done. 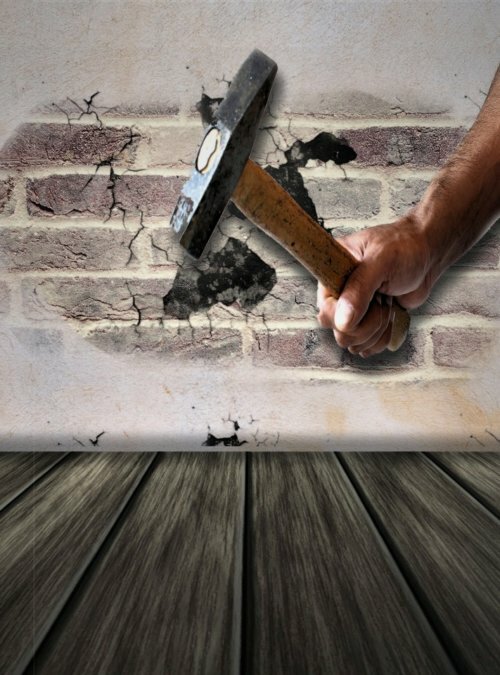 We can recommend and install the right foundation customized to the condition of your site. 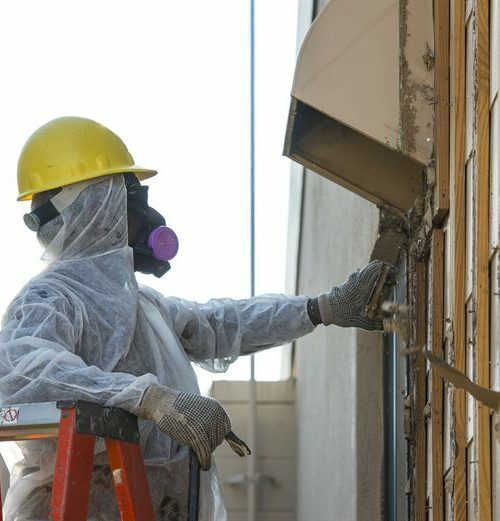 We offer foundation services for both residential and commercial properties. You cannot treat foundation work as a do-it-yourself-project. It is a sensible thing to hire a good building contractor who will make the right assessment of your project. 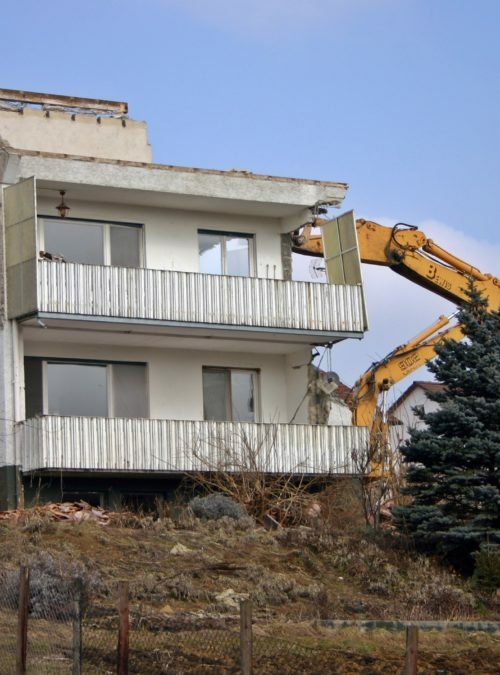 Murray Demolition will inspect your site and brief you on an affordable plan of action. 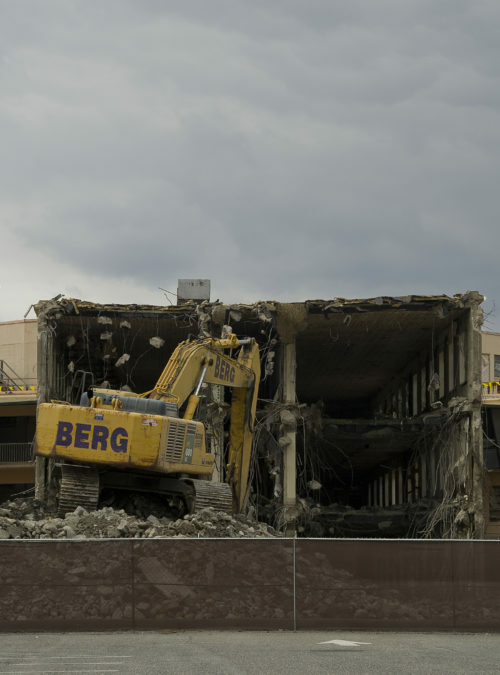 As a certified demolition expert and building contractor, we can tear your building or we can build you the foundation for a strong one.